Ah, the Samsung Galaxy S III Developer Edition. This is the model of the world's hottest handset that will come with an unlocked bootloader for Verizon customers. The device is going to be available from Samsung's website and speculation calls for a $599.99 price tag, ala carte. Interestingly enough, Verizon's own reps have hinted that a software update is coming soon that will unlock the bootloader on the subsidized variant of the phone which would make the Developer Edition unnecessary. While we have had no official announcement from either Samsung or Verizon regarding the pricing or availability of the device, it has been teased on Samsung's website. The site shows the pebble blue 32GB Developer Edition of the Samsung Galaxy S III as "coming soon" and we are happy to see this confirmation that such a device does exist and is on the way. One interesting note about the rumored pricing. 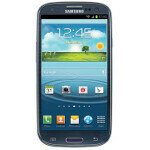 If Samsung does price the 32GB version of the Samsung Galaxy S III Developer Edition at $599.99, you will be able to save $50 over the $649.99 price of the 32GB Samsung Galaxy S III model off-contract at Verizon. And you will get the unlocked bootloader as a bonus. You will also lose the warranty. I care more about that than the bootloader.